The build up to our holiday had been fairly intense, with lots of child-based excitement and sleepless nights, but finally the day had arrived! We were so excited, we left the house at midnight, for the three hour journey! There is definitely an arguement for travelling in the early hours if you want a stress -free road trip, but even I thought that was going a bit far! This is our review of our stay, although I'm not sure I could really do it justice, there is so much we loved about it. 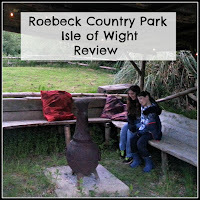 Roebeck Country Park is situated near Ryde on the Isle of Wight and we visited during May half term. We arrived on the ferry at around 5am, because we are nutters and also because it was a bank holiday weekend and we had no desire to spend it sitting in traffic. After a blissful crossing taking less than an hour, we docked and followed the signs into Ryde. It was so wonderful being by the sea so early in the morning, we may have lingered a while, taking in the sights and the abundance of wildlife. In jubilant mood, we followed the directions to the campsite. The first thing we noticed was its close proximity to the ferry port, Ryde itself and a very useful Tesco. The area is just lovely. Fabulous views in every direction and lots of inviting little streets to explore. The beach in Ryde is white sand and there are trampolines and other amusements for children. When you visit the Isle of Wight, the great part is, you are never more than a few miles from a beach and you can find one to suit every taste, from the quiet, remote, picturesque setting, to the busier, more tourist-y type beach. The campsite was equally picturesque. 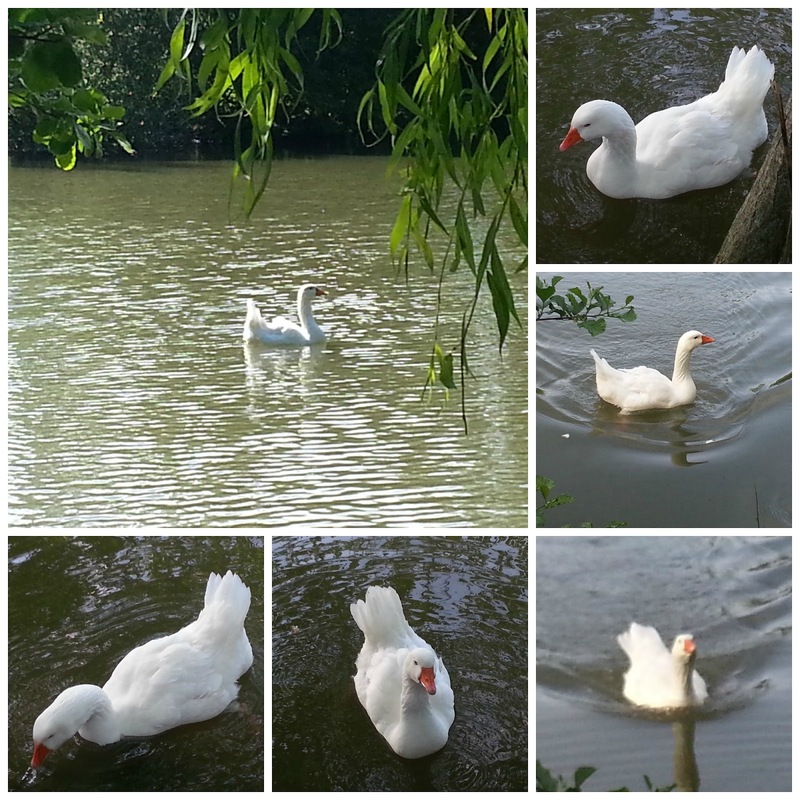 It had huge swathes of open space and a large, beautiful lake that was teeming with enormous fish. Roebeck is the perfect location for fishing and the fish were clearly visible under the water and would come up for bread, which was really fun to watch. We were staying in a tipi, which was a unique camping experience, very different to a standard tent. For a start, it was huge. 18 feet in diameter. That's a lovely thing to have in a tent, space. It could fit five beds comfortably, but there were only four of us, so, with four beds in it, it was even more spacious! There were some lovely personal touches, to make it more homely, such as side tables, lights and scatter cushions. There were duvets provided, which we really appreciated, as it saved a lot of space in the car, not having to bring any sleeping bags. As it was quite early in the year for camping, I did find the tipi quite cold. There was a thick coir matting over the ground sheet, but the traditional design of the tipi, meant there were small gaps around the base and ventilation in the top, so it felt quite chilly at times. However, this would be a major advantage when it's really hot in the summer, to keep the sleeping area cool at night. The area where the tipis are situated is very secluded, offset slightly from the main campsite and situated next to the lake. We were lucky, as we were the only people occupying a tipi that week, so we had the run of the place, but there are never more than three tipis in that area at once, so it's never very busy. There was a covered eating area, with a chiminea, two picnic tables and a stand pipe for cold water. Electric hook up was available, but we didn't use it, as we wanted to get the full 'back to nature' experience. Which reminds me... also on site, a five minute walk away, was a communal area with a microwave, kettle and sink with hot and cold water for washing up. It also featured wifi (squee!) and charging points for mobiles, hurrah! But, mostly, I was committed to nature. Ahem. Other facilities were a well equipped toilet block, featuring two roomy showers with room to dress and seating within the shower enclosure. The showers cost 20p for three minutes or £1 for fifteen minutes. We found three minutes was long enough for the boys, but us girls needed a bit longer. Fifteen minutes was a bit long though, so we had seven minutes each! The shower block was situated very close to the main camping area, a short walk from where our tipi was situated. We had a brilliant time here. We were wondering how it would compare to a traditional holiday camp, but we needn't have worried. It was one of those places, where you couldn't help but relax. 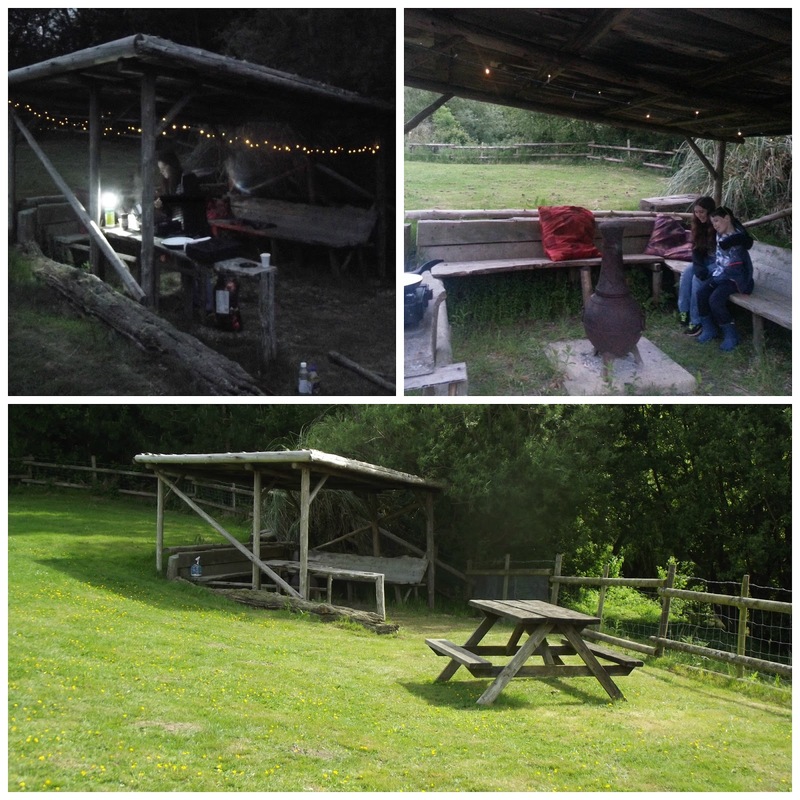 There are no entertainment facilities on site, but this really adds to the rustic charm and everyone enjoyed finding their own entertainment. It is a very short drive to the seafront where there is a lot to do, but it's lovely to come back to the blissful surroundings in peace and quiet. If you do decide to pay a visit to Roebeck Country Park this summer, keep an eye out for the resident goose, who is very friendly and has a personality all his own. He can hear the rustle of a bread bag from a hundred yards away! 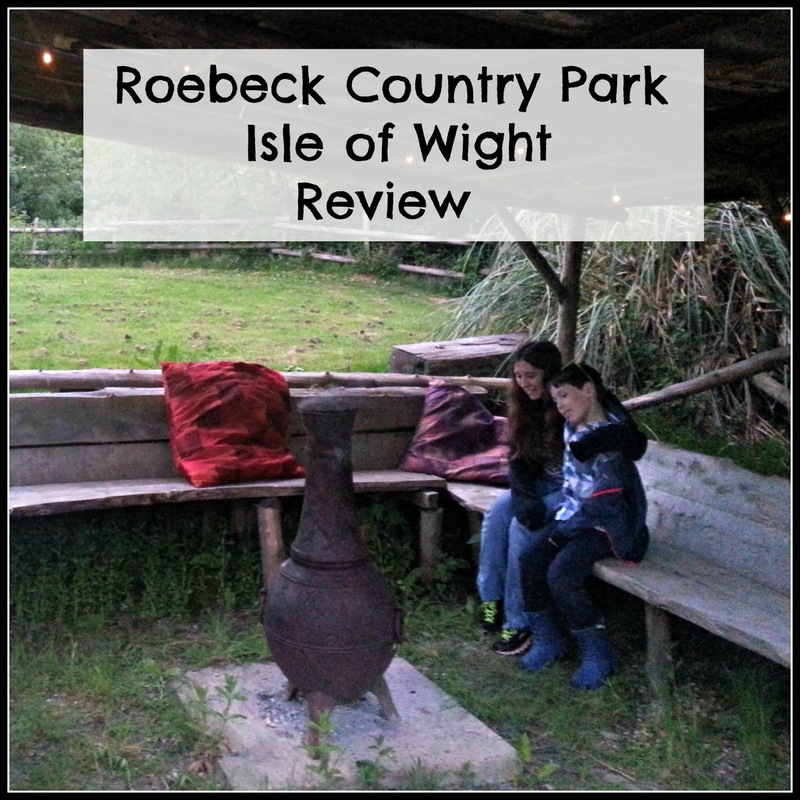 Disclaimer: We were invited to visit Roebeck for free, in order to provide an honest review for prospective visitors. All opinions are our own. Follow Roebeck on Facebook and Twitter to keep up to date with all the goings on and developments at the site. Not camping fans here to be honest, but that does look a lovely location to stay. Isle of wight is so pretty to visit .This campsite looks nice although I am a little reserved when it comes camping as I love my creature comforts. It looks fantastic and so relaxing, very jealous. Glad you had a good holiday. It looks lovely. I've been to the IoW for the day & would like to return but the crossing was expensive. If you plan it's cheaper & not too bad if you're going for a week or more though I guess. We adore the Isle of Wight and usually go once a year even if it is for a day. I've never tried this type of camping before but it looks great not having to worry about taking and putting up tents and everything else. This looks like such fun - my son really wants to go camping and this would suit him down to the ground!! 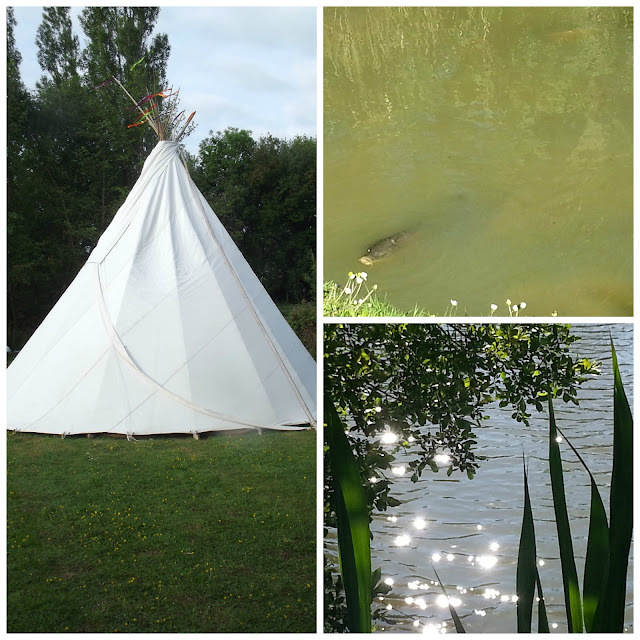 Wow what an amazing place to stay, we love our camping holidays but haven't tried a tipi though. Looks lovely. Never been a fan of camping, but I could actually be tempted by this! Thanks for sharing on #SummerDays and hope you can join us next week. 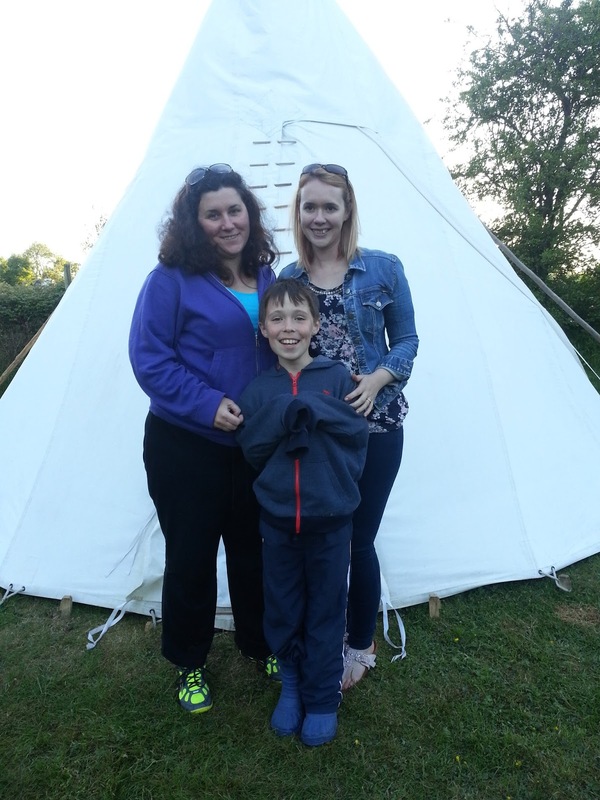 What a brilliant campsite and how cool to stay in a tipi! Love it!! We've not been camping yet as a little clan and would like to but I'm a bit nervous about it. This sounds like the perfect way to ease into it. Thanks for the review.